Brazil is just one step removed from facing its reality. With nearly all macroeconomic indicators pointing in the less desirable of directions, the country is facing a downgrade of its sovereign credit rating with S&P on July 28 changing its outlook on Brazil from neutral to negative. As it stands, the country is only a single notch removed from having its government bonds reduced to junk status. Public debt has ballooned to levels now deemed too high for an emerging market to maintain its investment grade status. Even in the most optimistic of scenarios, Brazil’s debt-to-GDP ratio is expected to peak at around 73% in 2019 from less than 50% ten years ago. Retreating into junk territory would imply an exit of institutional investors from the Brazilian bond market, driving up interest rates as they slam the door on the country. Most institutional investors are not allowed to buy or hold equities that are rated below investment grade. Currently, about a quarter of Brazil’s domestic federal debt is held by foreign investors. Their departure is expected to cause havoc in an already unstable market. Gone are the days that Brazil was universally hailed as the economic powerhouse of the emerging world, second only to China in its potential to change the global balance of economic power. However, with unemployment, inflation, interest rates, and debt levels shooting up and economic growth dipping into negative territory while consumer confidence remains weak, Brazil’s present looks dismal and the country’s future gloomy. The stock market reflects this sorry state of affairs with the formerly stellar-performing Bovespa Index tumbling down from a high north of 60,000 to around the 46,000 mark. The second largest exchange in the Americas according to market capitalisation, the Bovespa is now even outperformed by the Moscow Stock Exchange whose MICEX Index eked out an 18.7% annualised return despite the international sanctions. As far as the BRICS economies go, Brazil is hanging on by a thread. In the weekly survey of the prevailing sentiment amongst top economists, a poll conducted by Brazil’s central bank, most of those questioned agree that the country’s GDP will contract by close to 2.1% in 2015 after moving ahead a barely noticeable 0.1% last year. The administration of President Dilma Rousseff is valiantly attempting to replace its slant from ideology to pragmatism. The president started her second term in office with the intention of pursuing a much more ideologically driven set of policies designed to redress remaining social inequities. President Rousseff put long-serving finance minister Guido Mantega in charge of shifting to a more heterodox – and slightly less business-friendly – approach to economic management. The administration’s pronounced shift towards more progressive policies coincided with a marked deterioration of Brazil’s terms of trade. As the commodities boom ended and growth returned, albeit slowly, to both North America and Europe, investors traded the iffy outlook of an overrated emerging market for the certainties of generally under-appreciated traditional markets. Thus, Brazil got caught in the perfect storm: income from commodity exports fell off a cliff while foreign investors lost their appetite and government expenditure snowballed. In all fairness, the resulting economic downturn does carry a silver lining: the weak real and manufacturers seeking to compensate lacklustre domestic consumer demand via increased exports have managed to get the balance of trade back in black. Blamed, justly or not, for the country’s economic malaise, Guido Mantega was replaced by Joaquim Levy. With a PhD in Economics from the University of Chicago – and as such a confidence-inspiring latter-day Chicago Boy – Mr Levy previously worked at the International Monetary Fund (IMF) and held a number of top jobs in the Cardoso Administration (1995-2003) and at state level. Known as “scissorhands,” Joaquim Levy promptly embarked on a mission to rein in expenditure, imposing budget cuts across the board, and taking to task colleagues who showed reluctance in complying with the restrictions on spending. Brazil’s central bank has also let go of heterodoxy – a perennial policy favourite of the country’s left – to concentrate on its main task of keeping inflation in check. The stated goal of slashing the annual inflation rate in half to 4.5% by the end of this year is no longer within the realm of reality, much like Mr Levy’s promise to run a primary fiscal account surplus of 2% in 2015. Judging by the volume and intensity of criticism levelled against Mr Levy, one could be forgiven for thinking the minister is already heading towards the exit. However, President Rousseff – not usually accused of strong leadership – seems to be holding firm. Hers is not an enviable position at all: beset by protesters demanding her resignation or impeachment – both rather silly propositions – over the still escalating corruption affair involving state-owned oil company Petrobras, President Rousseff has but the smallest windows of opportunity to show leadership. Brazil’s chickens are now coming home to roost. While it was relatively easy for the first Workers Party administration to deliver the goods amidst a situation of overall plenty and unbound optimism, the second one requires a bit more vision and policy acumen in order to become a success. As China is faltering as the engine of global economic growth, demand for Brazil’s main commodities has slackened significantly. At the same time, low oil prices transform the country’s deep water drilling efforts into an expensive – and quite possibly losing – proposition. With oil at barely $45 per barrel, the bonanza expected from the huge offshore fields could cause disappointment. Industry experts estimate that the deep water wells now producing 1.4m barrels per day – a volume expected to double by 2020 – need crude prices to hover around $60 in order to break even. Both the United States and Europe also contribute to Brazil’s predicament: the former mulling an interest rate hike, and the latter showing weak growth and continued worries surrounding Greece and other trouble spots. While Finance Minister Joaquim Levy and his team are making the right noises and know full-well what needs doing in order for the country to return to sustainable growth, they depend on President Rousseff for authority and leadership. That is troublesome, for Ms Rousseff has an increasingly vociferous left flank to contend with and is not really interested in economic matters. Hers is – au fond – a government that prefers to concentrate on spending, rather than on generating income or cash flow. What happens when this is kept up long enough may be appreciated in next-door Argentina which has caused its neighbours nothing but trouble for the past decade. Argentina’s haphazard economic policies – more akin to a collection of ad hoc decisions than a framework for the management of the nation’s affairs – have caused Brazil and other countries in the region no end of trouble. It first started in 2005 when Argentina left Chile – its neighbour on the western fringe of the Andes – out in the cold after it flatly refused to honour its obligations under a treaty signed in 1995 to supply natural gas, forcing the Chileans to scramble for prohibitively expensive alternative sources. The Argentinean government of the day, headed by Néstor Kirchner, reneged on its commitment to Chile solely to keep domestic energy prices artificially low and reap the resulting electoral rewards. Uruguay, just across the River Plate from Buenos Aires, has suffered severe fallout from the currency controls Argentina imposed in 2012 to relieve pressure on the country’s dwindling foreign exchange reserves. The controls also kept Argentinean tourists at home. Uruguay responded by exempting visitors from VAT and offering rebates on holiday rentals, Argentinean vacationers never returned in significant numbers. Uruguay’s hospitality sector has yet to recover from this heavy blow. It is, however, the Brazilians who have had to endure the brunt of Argentina’s seemingly never-ending antics. While both countries are founding members of the Mercosur trading block and customs union, trade flows between them have been subjected to a draconian regulatory system imposed by Argentina with the express view of reducing its imports. Any item ordered from abroad by a business or private person, no matter how small or cheap, must first be vetted and approved by the state. The process involves establishing a Kafkaesque paper trail that defies all but the most persistent of importers. Since the introduction of the much-maligned import control system in 2012, Brazilian exports to Argentina have dropped by nearly 20%. While it has been ruled illegal by the World Trade Organisation, the government in Buenos Aires has so far refused to dismantle the system. Facing mounting obstacles and even outright hostility, Brazilian companies operating in Argentina have now joined forces to petition the government in Brasília to get tough with Buenos Aires. Brazilian corporations with a presence in Argentina have been prohibited from remitting profits, suffer price controls, and are often unable to keep production lines operating due to a shortage of imported parts and components. While ignoring the country’s obligations under the Mercosur free trade agreement, the government of President Cristina Kirchner has actively tried to stop Brazil from pursuing a trade deal with the European Union. While Brazil’s other Mercosur partners Uruguay and Paraguay have already put all requisite trade liberalising measures in place, Argentina steadfastly refuses to implement the reforms necessary to clear the road towards an intra-block deal between the Mercosur and the European Union. On the world stage, Brazil’s close association with an increasingly recalcitrant and contrarian Argentina has significantly weakened the country’s position and profile. Brazil has been instrumental in shielding its Mercosur partner from sanctions for failing to abide by the rules of the International Monetary Fund (IMF). Argentina has consistently declined to provide the IMF with accurate data on its economic performance in violation of the fund’s articles of agreement. Last year, Brazilian representatives rallied the support of other emerging market members to stop the IMF from throwing the book at the Argentineans. Though they managed to spare Argentina the worst, the Brazilians did end up with a reputation for tolerating rule-breaking behaviour. However, the Kirchner era now seems to be drawing to its close – sort of. A general election is scheduled for October 25 and voters are slowly moving away from Kirchnerism in the direction of candidates proposing slightly more pragmatic policies for addressing the country’s lingering ills. 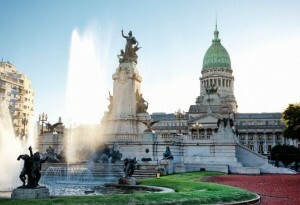 However, and most significantly, Argentineans are not turning their backs on outgoing president Cristina Kirchner; they are just choosing a slightly less abrasive version of her in opting for Daniel Scioli, a former vice-president and currently the governor of Buenos Aires Province – and as such the second most powerful politician of the country. During their twelve years in power, the Kirchners – Néstor (2003-2007) and Cristina (2007-2015) – have expertly manhandled the nation into a time capsule: by any measure, progress has been negligible though the country’s economy fares not as bad as many outside observers and other assorted pundits would have their readers believe. A high-income nation with the statistical appearance of a faltering pioneer market, Argentina presents a baffling conundrum to most observers brave enough to make an attempt at unravelling the country’s inner contradictions. What most outsiders fail to appreciate is that Argentina, for all the urban swank of Buenos Aires, remains a rural nation perhaps best described as the agricultural equivalent of a gushing oil well. While in Brazil the administration of President Dilma Rousseff is now determined to disentangle the country from its love affair with economic heterodoxy, no such thing is being considered in Argentina – not even by the front-running presidential hopefuls. There is a simple reason for this: the country has benefited tremendously from the near-record high prices that its agricultural commodities demand. For an economy that stands in dire need of maximising foreign exchange receipts on short notice, maintaining an overvalued currency may not make much sense: however, in Argentina it does. The high-riding peso essentially constitutes a tax levied on agricultural exports. It is much more palatable to farmers than the export taxes that caused a widespread rural protests in 2008. The resulting inflow of cheap dollars helps spread the rural wealth around. By keeping the dollar cheap – and mostly unavailable thanks to currency controls – the government is also able to cobble together and pursue an industrial policy by deciding which sectors are granted access to dollars, and which are starved of foreign exchange. The policy entails limiting imports by means other than tariffs and subsidising industry via a backdoor. While the policy is, well, unorthodox in the extreme, it bears fruit: whilst inflation has been running at an annual average of 24% during President Cristina Kirchner’s second term in office, median wages have increased by slightly over 28% annually. Meanwhile, unemployment has remained stable at around 7%. The heterodoxy is in the weighing of interests: whilst holders of peso denominated bonds may certainly prefer official policy to alleviate inflationary pressure, most workers and businesspeople would opt for keeping unemployment low and internal demand – boosted by rising wages – up. It is the Argentine way – imperfect, perhaps, but surprisingly resilient and moderately successful. It is also how the country managed to progress in the decades following World War II when Argentina enjoyed robust and sustained economic growth, with an attendant rise in living standards, while strict import and currency controls were kept in place. At the time, inflation hovered around twenty percent annually and the economy periodically suffered short, sharp recessions. However, unemployment levels remained steady throughout and gains in living standards were mostly preserved. After the turbulent 1970s, things turned awry each time heterodoxy was dumped to allow for a more monetarist approach. What the Kirchners concluded from the economic upheavals of the 1980s and 1990s was that orthodox monetary policy simply has no place in Argentina’s development model. The wider world may find this remarkable, seen from Buenos Aires’ perspective the conclusion was not entirely irrational. The economic orthodoxy Argentina pursued during the 1990s pushed the purchasing power of the median wage down to barely 65% of its 1975 level. At the same time, unemployment levels jumped from the historical average of 6-7% to just shy of 20%. Today, Argentina may not be a trustworthy international partner, left to its own devices the country is doing reasonably well. Argentina’s GDP has been expanding steadily, poverty levels are falling as are the number of jobless people, and inflation is high but not out of control. In fact, since the financial meltdown of 2002, Argentina’s growth has bested even regional top performers with prosperity levels now reaching almost 150% of the Latin American average, compared to 101% for Brazil, 128% for Mexico, and 138% for Chile. Not bad for a notoriously contrarian nation. Just don’t believe a word coming out of Buenos Aires: Argentina’s discourse is meant for domestic consumption only and so is the country’s economic policy.